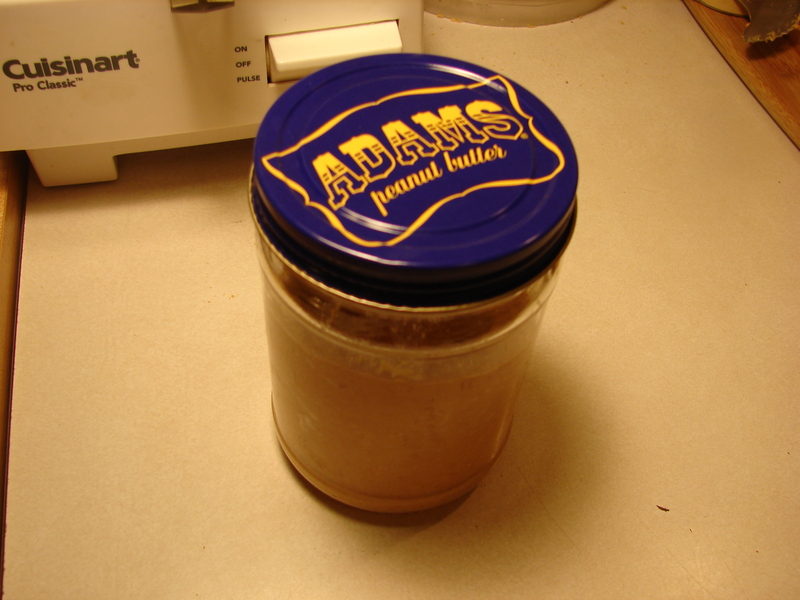 Since peanut butter comes in plastic jars a lot of the time, I make my own. This is really really easy to do. I bought the peanuts in the bulk section at the g. They didn’t have peanuts in the bulk aisle, so I had to get them at the trail mix bar. Peanuts are the only ingredient. I used about two cups. 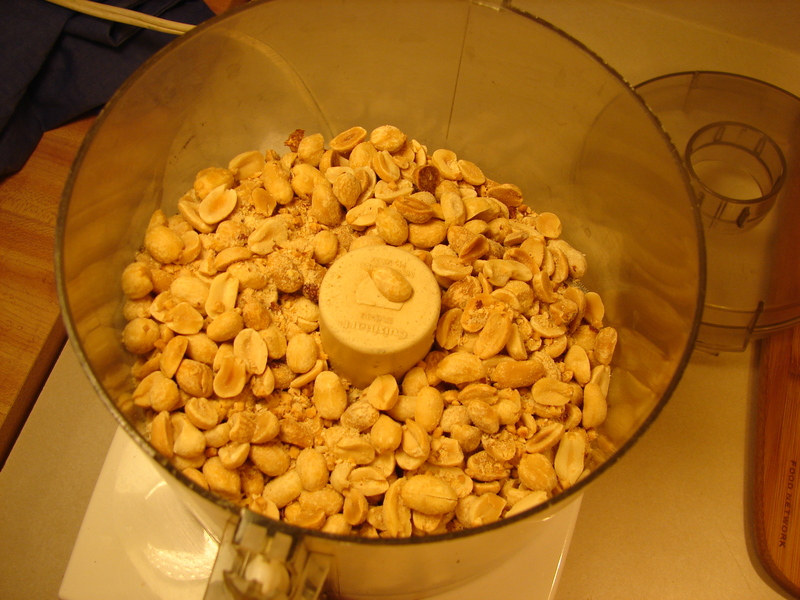 Add two cups of peanuts to a food processor. I put mine in an old peanut butter jar. Enjoy! Its good on these crackers. Loving your blog! 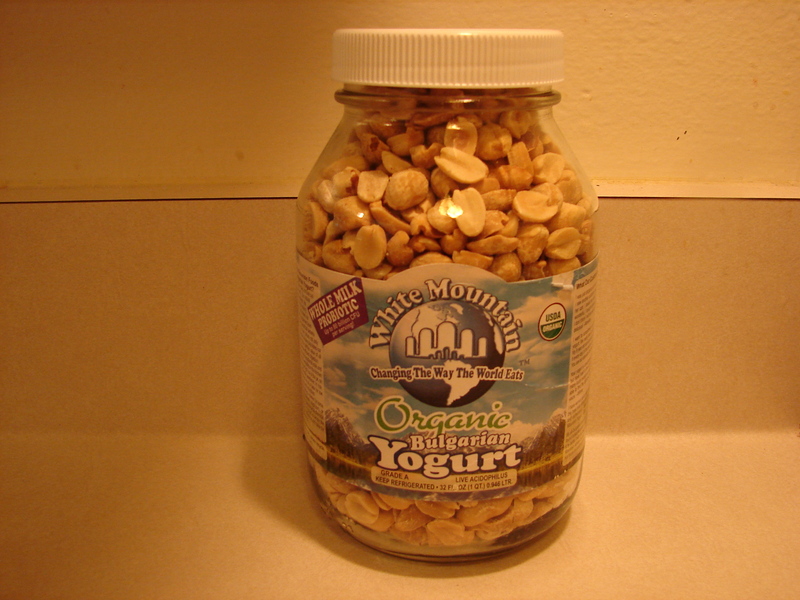 Does it matter if I use raw peanuts or roasted peanuts? 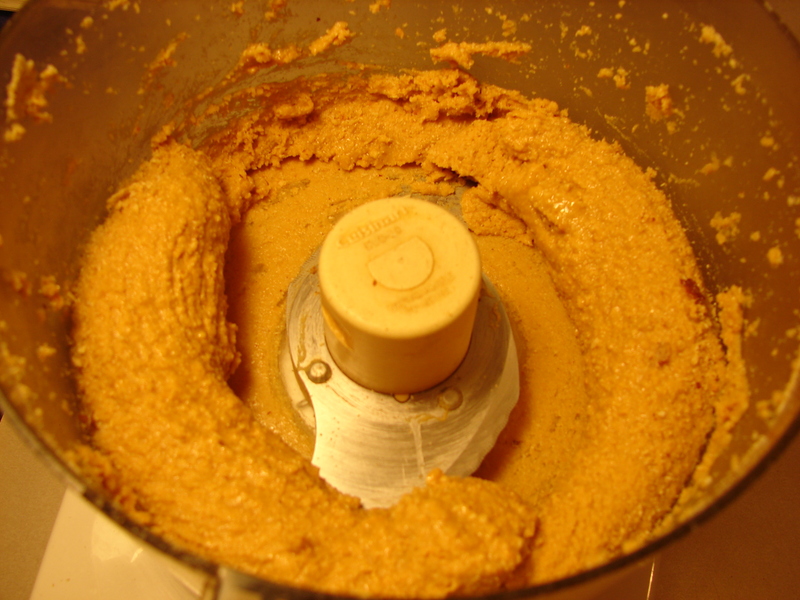 I’ve used both, but I like making peanut butter with roasted peanuts since it tastes better to me. I’m really impressed by your ambition to reduce your use of plastic as much as possible, especially because of you age. 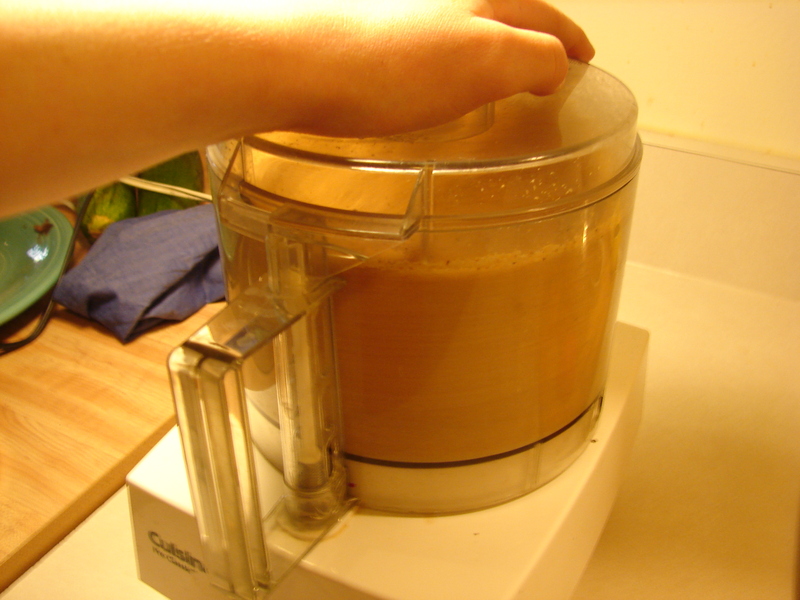 I can’t help but notice that you’re using a food processor with two types of plastic (body and blade elements) in them. I found this blog trying to find an alternative to using the same processor for household tasks like the one you illustrate, but have had no luck so far. The tutorial is simple to follow and yields a tasty product, but I wish we had a healthy, convenient alternative for appliances like this. I agree. It would be great if there was a food processor made of metal or glass. I’m using this one until it breaks (which will probably be soon) and then I’m going to try and find a better alternative. I’ll write a post about it when I do.